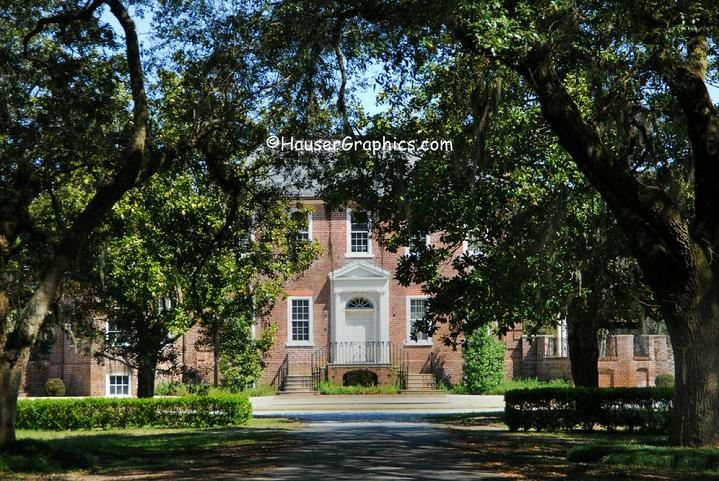 Honorable John Fenwick's Colonial Plantation on the Stono River. Please come in & take a virtual tour one of America's oldest and little known treasures still remaining. 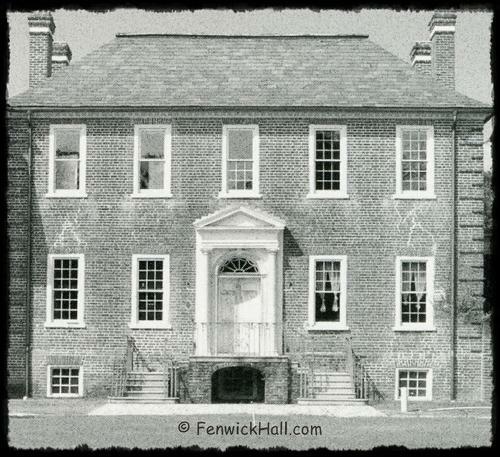 Fenwick was built long before the colonies became the United States. Experience Fenwick's many previously lost secrets and what is going on there today. 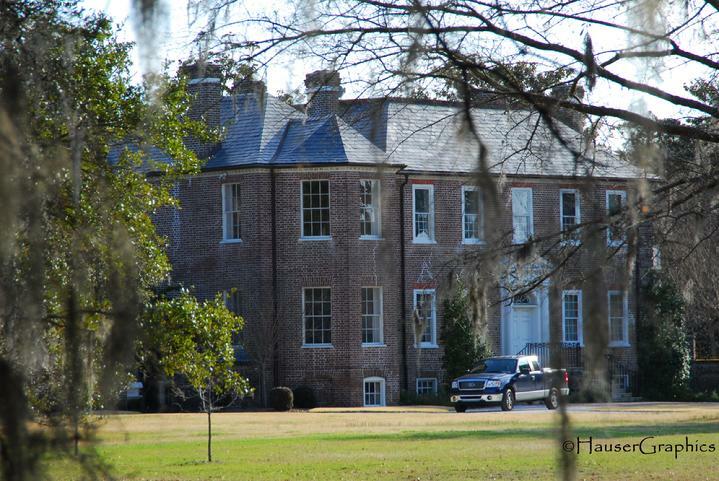 Fenwick Plantation is not open to the public. Very rare snowfall at Fenwick Jan 2018. Only few snow images exist over its 300 years. Fenwick's original brick changes color throughout the day depending on angle of sun & its strength. 2009, A February winter at Fenwick. Photographer John R. Hauser. John Fenwicke of Northumberland, England. Born ~ 1675, Died 1747. Believe in Reincarnation? 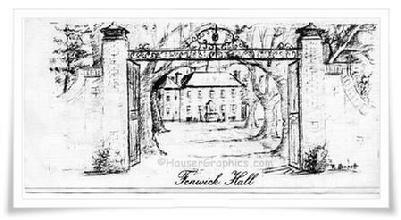 John Fenwicke owned 11,000 acres surrounding the John's Island area and Fenwicke Hall was just one of many plantations that he owned. 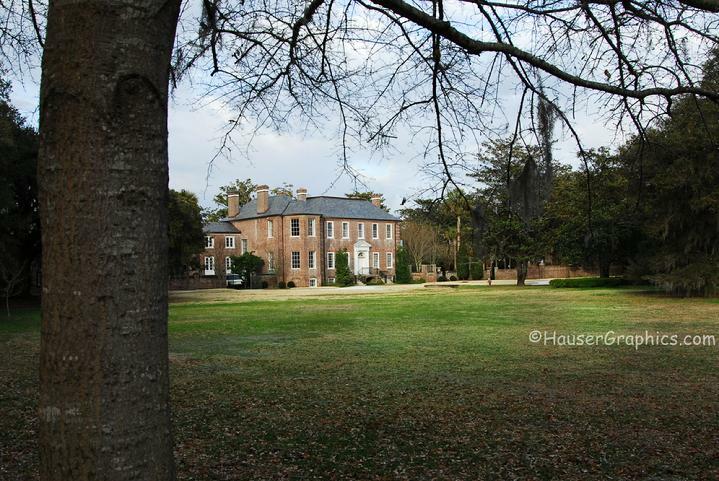 Home to the most prominent families of Charleston, Fenwick Hall is the legendary site of pirates, family betrayals, a hidden tunnel, secret rooms, and a fabled ghosts who rides through the marsh when the moon is full. The British occupied it. The Union Army chose not to torch it. Since the Civil War, it has survived dozen of owners, decades of neglect, and tawdry additions to its landscape. Today, one of the most historic 18th-century plantations in the nation is once again being revitalized; home to not only the breathtaking wildlife which have resided there for centuries but to one lucky family and a few ghost. 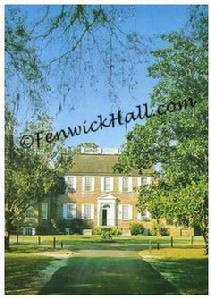 I can not stress enough that currently Fenwick Hall is once again a private residence and not open to the public. Please permit the owners to spend their time actively restoring & preserving the estate. Over the past 300 years, the plantation has been open to the public on special occasions (benefits, etc) so maybe you can experience the estate during one of those rare times. Please understand that trespassers on the Fenwick Hall Plantation Grounds will be prosecuted. 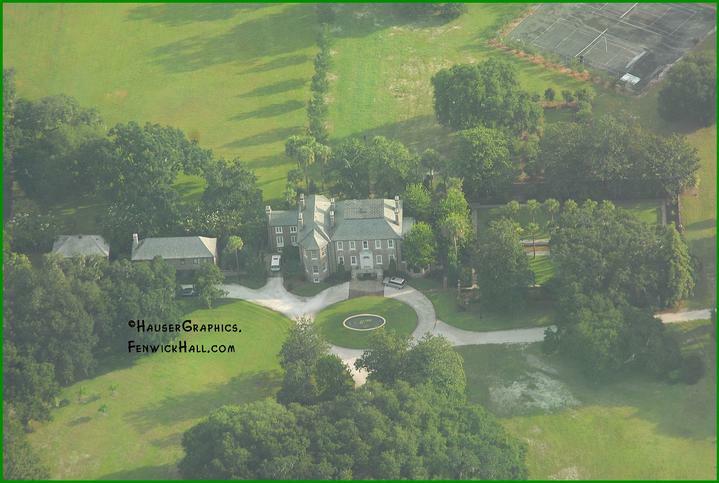 Please DO support John's Island and Fenwick Hall's survival, but leave the ghost (and owners) alone! Don't go to jail ! Directly to jail! Thank you. 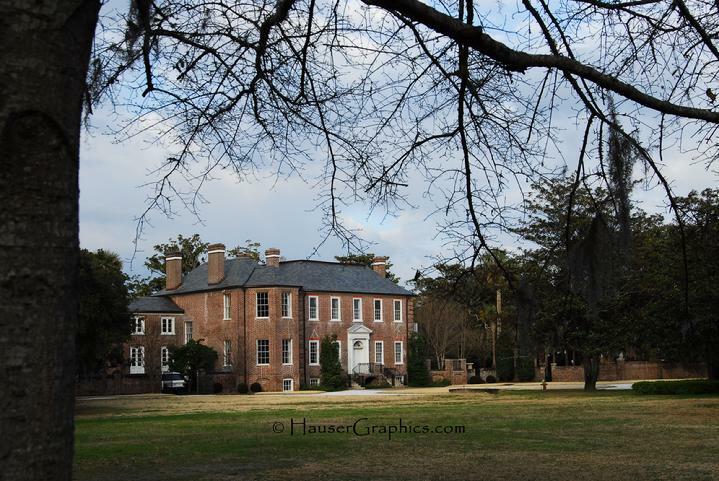 Ownership: While this attempt at a historical website has been researched, created and designed by me, I have zero ownership in the actual Fenwick Plantation. All comments and such on this website are mine alone and not the owners of Fenwick. And I do, sincerely, thank the owners for allowing me to publish and keep the plantation's past and current history alive for all. Please do not send me request to tour Fenwick or for weddings, etc. February 2009 Main Gate on River Road. Photographer John R. Hauser. 1932 Etching by Charleston's artist, Elizabeth Verner. 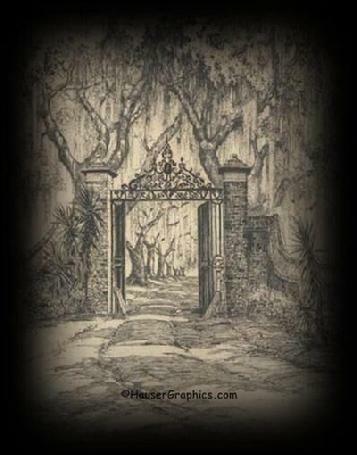 Liz called the sketch the "Gates of Fenwick". Lizzy-thanks for the sketch as I love that you captured the ruts in the drive and a slice of 1930's history. 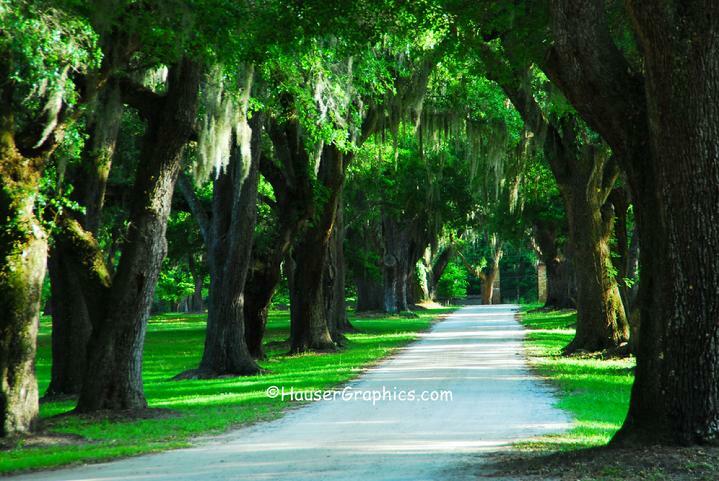 2009, September, The River Road entrance to the 300 year old plantation built by John Fenwick, of England ~ 1730. Photographer John R. Hauser. What ghost glide behind the gates ? 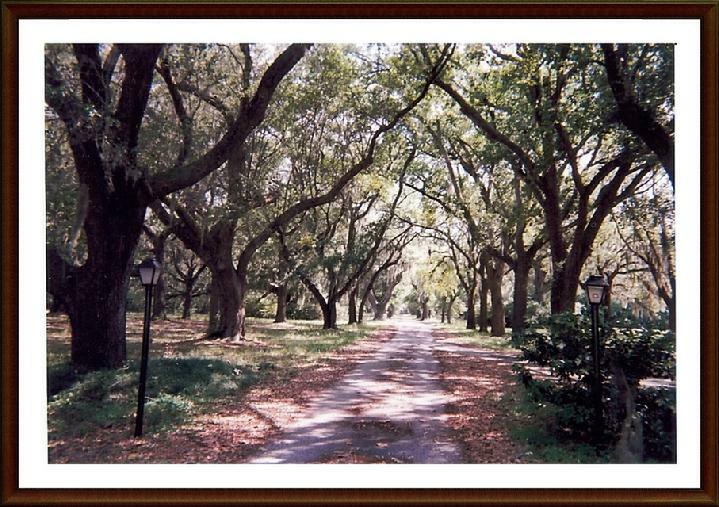 The Main Drive is a double row of Oaks at Fenwick. 2010 Facing the Main Gate. 2010, April, looking back toward the main gate at the River Road entrance to Fenwick Hall. Image by John Hauser. March 2010, the plantation's flowering trees (cherry's, dogwoods, etc) are starting to bud about a month late this year. Image by John Hauser. 2010 Ancient Live Oaks have survived natural disasters such as hurricanes, earthquakes and even wars with indians, the revoluntary and civil wars, and more. If the trees could only tell us their stories. 2010, April on the grounds of historical Fenwick Hall Plantation on John's Island. Image by John Hauser. April 1, 2010, Bright sunny day at the end of the shady Fenwicke Hall Live Oak Allee. April 2010 view from a very old magnolia tree. Photography by John Hauser. 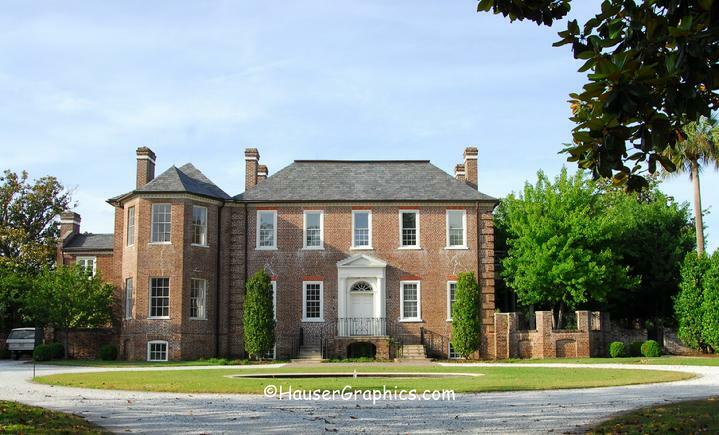 Fenwick Hall is the finest surviving example of an early Georgian two-story brick plantation house built on the Huguenot floor plan that was widely used in S.Carolina plantation houses during the 18th century. The interior of the house is complete with magnificent wood panels. The exterior wall are approximately 16" thick and the temperature in the manor remains fairly constant year round. 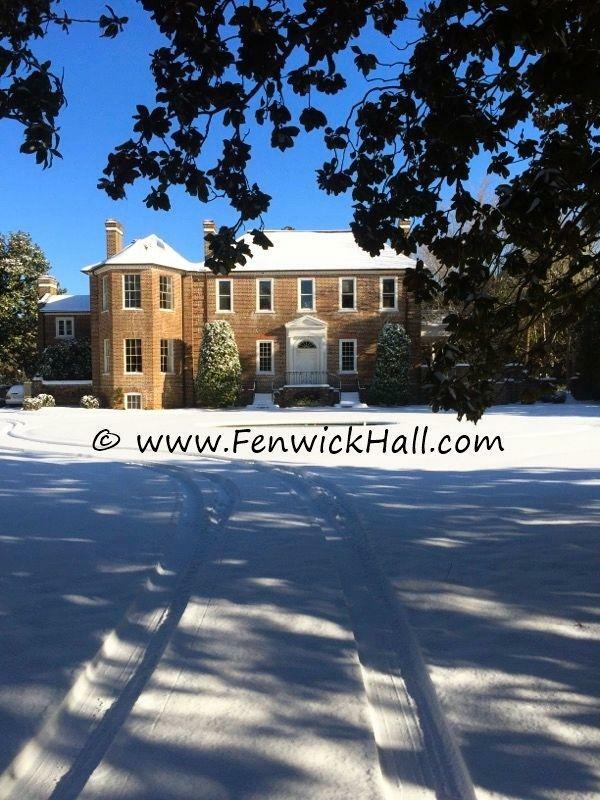 Fenwick Hall is a two-story structure over a high basement with a decked hipped roof surrounded by a balustrade. The brick walls are laid in a Flemish bond, with corners marked by brick quoins. 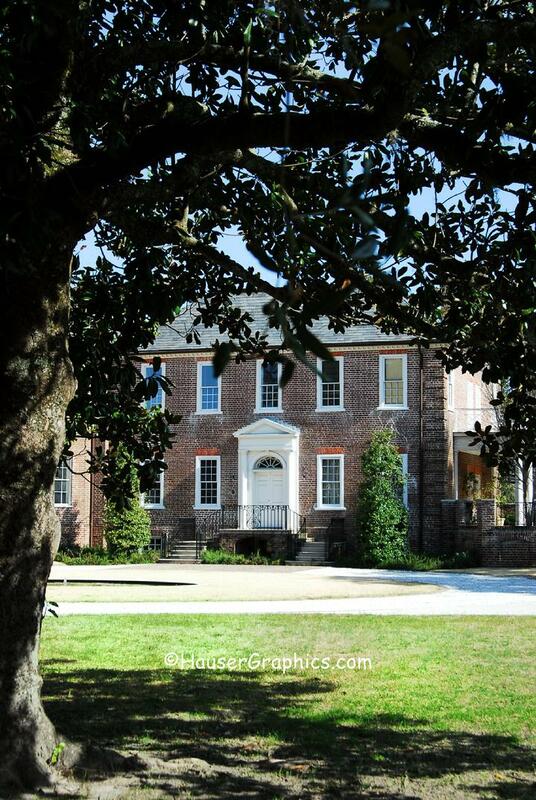 ..for some reason, the Stono River side cornders does not have the quoins on the lower half. No one alive now knows why. 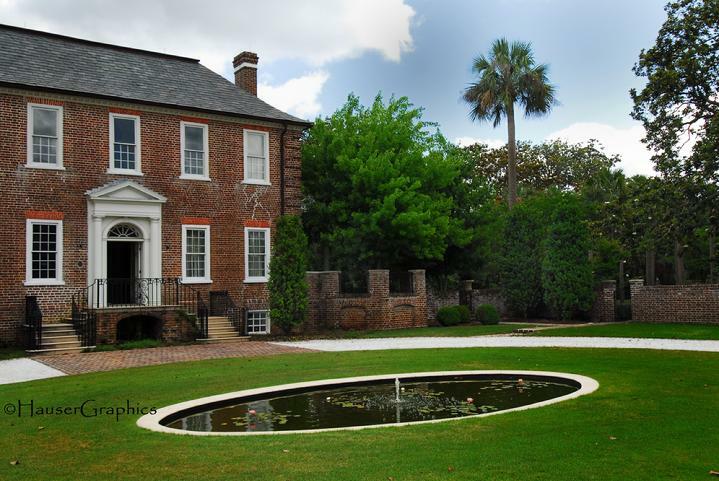 Added in 1931 were a one story verandah at the east end overlooking the reflection pond and 18th century garden. The reflection pond was updated during the 2000's. A small two story brick wing (1931-Virginia Style) was also added at the west end and contained a modern kitchen then. In 1985, the hospital destroyed the old kitchenand installed a commerical kitchen. That commerical kitchen has now be removed. Late March 2010, Photographer John R. Hauser. Fenwick Tower: Long before YOU were born. Look closely and you can see the interior wood shutters (with arrow & bullet holes). You can also see remnants of the limewash (stucco) that covered the ancient building. March 2010, Very late spring at Fenwicke Hall. 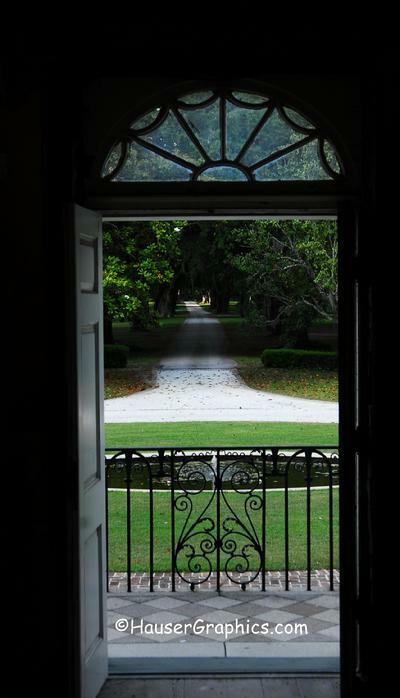 2010, Spring at Fenwick Hall Plantation. Image by John Hauser. April 2010, Fenwick at Dusk. Image by John Hauser. 2010 Late Winter. Image by John Hauser. 2010, March, Spring is finally in the air? A cameo self-portrait. 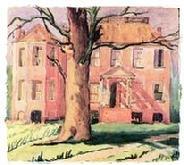 John Fenwick's 1730 Georgian Manor House. Circa 1730 Manor House, styled after familiar England Homes of that period. April 2010. 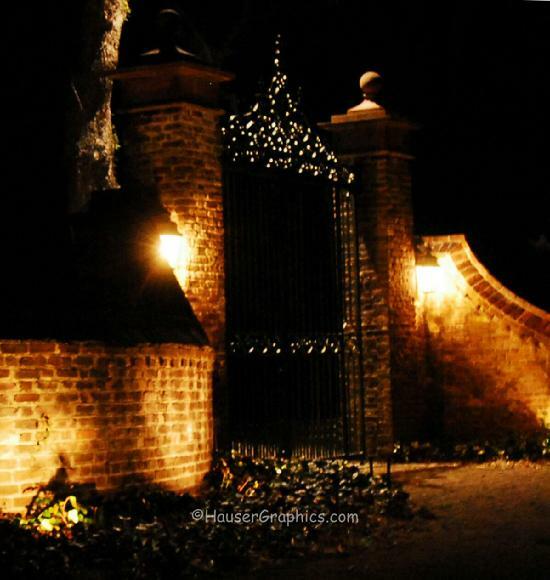 Decorative quoins were placed the full length of the manor house facing River Road. to give the impression of strength and firmness to the outline of the 1730 building. Photography by John R. Hauser. 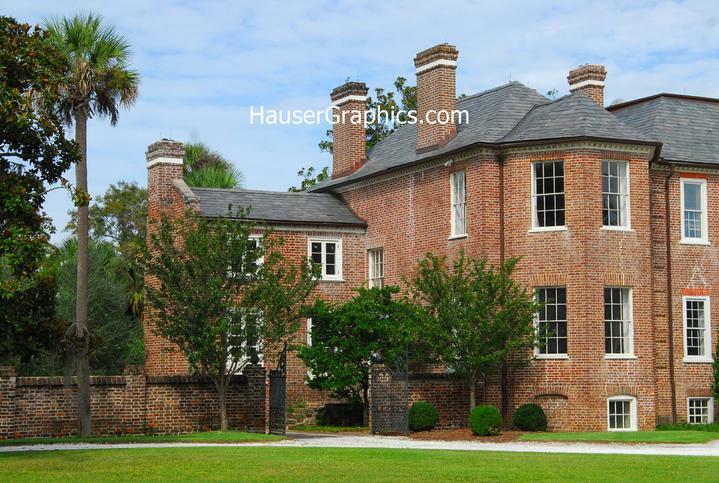 2000+, Fenwick Hall -windows/trim/structural/new slate roofing/hardware restoration. Note no pond, no landscaping = a clear slate.. Photograher Unknown ?? 1999, May 11th, John Fenwick's Home, as left to the vines to care for the plantation. Photo courtesy Carol Dawn. 1980's as Fenwick Hospital. As the main house was used as a hospital during multiple wars, it was only approporiate it be used a such during somewhat peace times also. Eight bedrooms, 12.5 baths, 7,828 sq ft.
1964, December, Blanchard's Cadillacs were brand new. The blue cadillac was a convertible for cruising Charleston and the beaches. Photo courtesy of Robert Igoe Blanchard, composer. 1934 Victor & Marjorie Morawetz Restoration and additions are complete! Fenwick has been saved! Victor's new Virginia style wing (which contains his modern kitchen) can just be seen on the very left. Portico at the front door has been removed and replaced with a simpler entrance and stairs changed. Barely visible on the east side of the castle is the new Veranda with balcony that overlooks the reflection pond in the formal walled garden. They did keep the huge old evergreen that you can just see in the very right of his photo. Photo taken in 1934 by Ben Judah Lubschez. Thanks Ben! Words from 1920's below and with historical 'errors'. 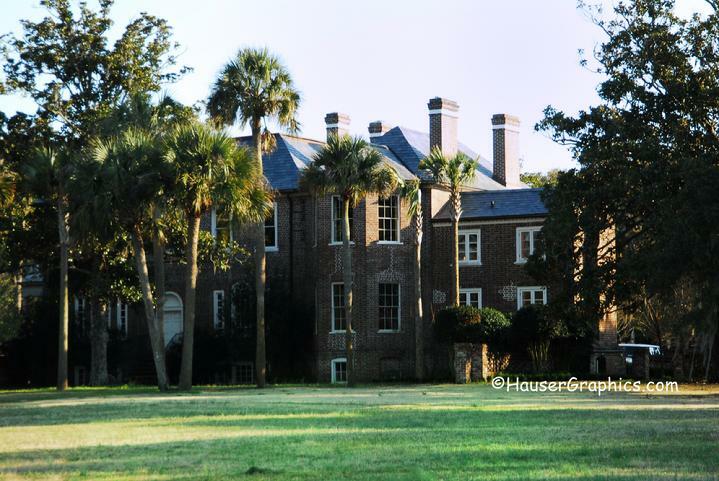 Head Quarters House or Fenwick Castle, John's Island. 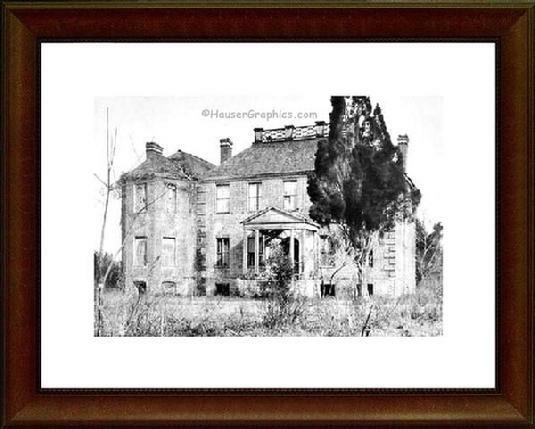 Cornwallis made his headquarters at one time in this old house now rapidly falling into ruin. 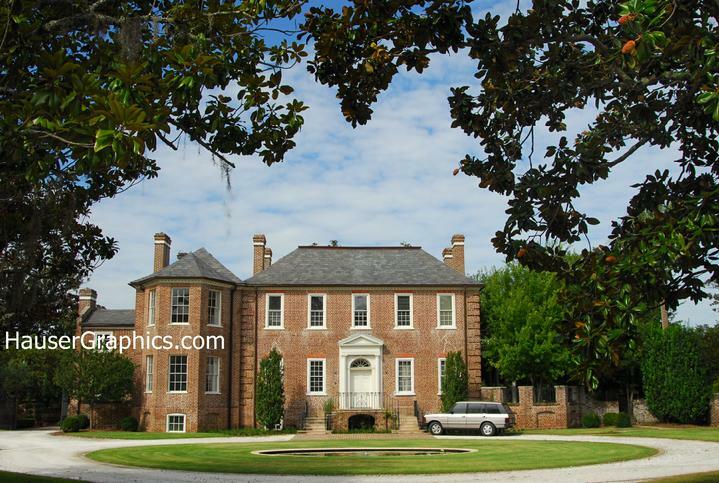 It was built by one of South Carolina's early settlers, Lord Ripon (Edward Fenwick(e)), who dropped his title. Nearby, the first owner laid out a race course, but no trace of it remains now. 1920's John Fenwicke's Castle. Another of my favorite images. Note that you can see the original 'interior' shutters covering the windows. Originally used for protection from Indian arrows. The interior shutters still exist today. The latches were noted to have been made of pure silver back when the plantation was new. Also, there is remnants of stucco/lime that was used near the front door over the brick to excentuate the entrance. The portico, stucco, and octagonal wing was most likely added by John Gibbes in 1787. As those architectural features were 'in fashion' at that time. 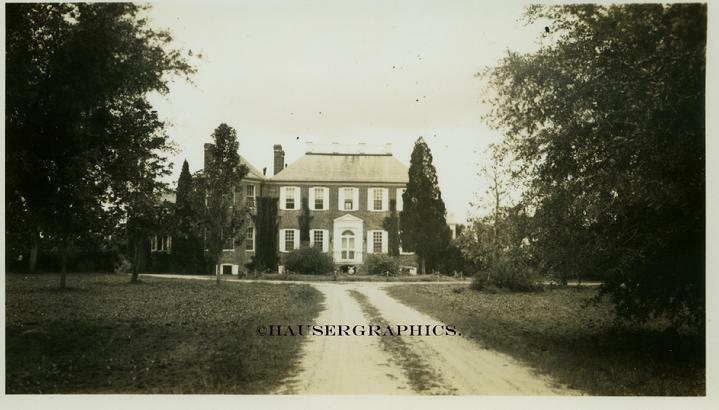 1900's Fenwick Hall's oldest known photo--note stable ruins on right side of main house near the horse. Built by John Fenwicke who came to the new world from England about 1705. John built the main house (minus octagon wing) about 1730-1738. John became a planter in the new world. Most of John's neighbors were indians at the time.This image is one of the oldest (and a favorite) and is the only one that shows the former stables on the east side of the main house. The brick stable was said to contain mahogany stalls with silver fittings. And these stables once contained some of the most important british horse importations that lead to the current Thoroughbred line. Nothing remains of the former stable, but the matching carriage house on the otherside of the main house remains to this day. 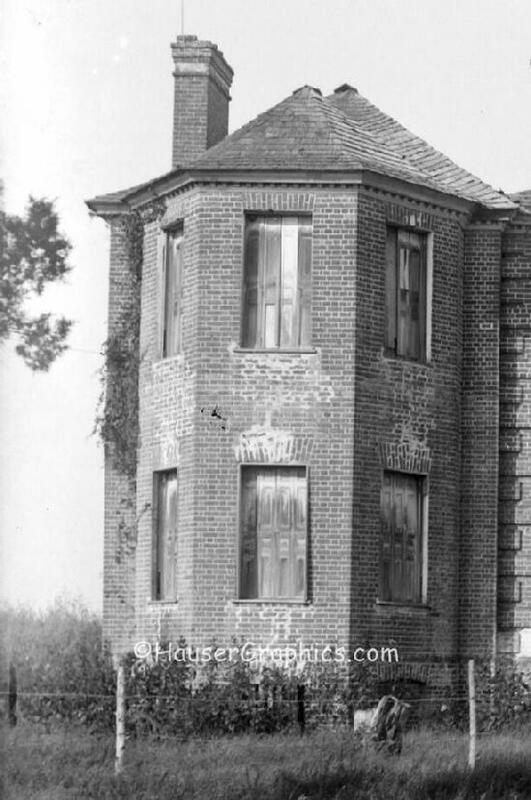 Early 1900'.s..no one had the money or interest to restore the home. The house was 'shunned' for years due to stories. The land was leased to farmers. 1730's What the manor house may have looked like in 1730 before the Octagonal wing was added. Back to ruins? NO! Fenwick is alive and well, but it is fighting its own internal atrophy besides fighting the damage us humans are doing to the Island. 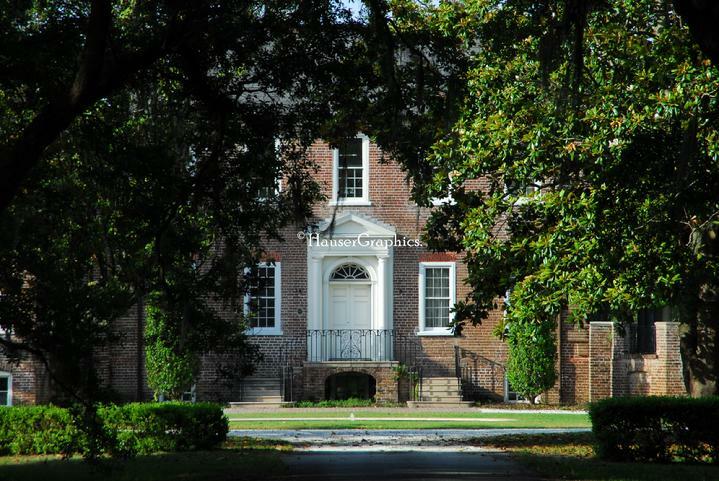 The local Historic Charleston Foundation includes it on its list of Endangered Landmarks in the Carolina Lowcountry. In February 1972, Fenwick was added to the list of National Registry of Historic Places (Thanks to the previous owners Nellie & Claude Blanchard and son, Robert). But unfortunately that did not keep Charter Hospital from damaging the house and grounds in the 1980's. 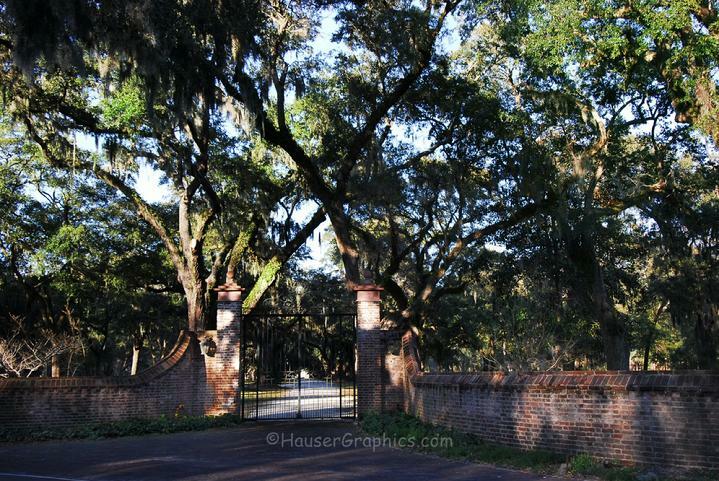 Today the planation home sits on a much smaller, 55-acre site, down from its original four thousand + acres, but one that still includes an impressive avenue of Oaks & coach house. 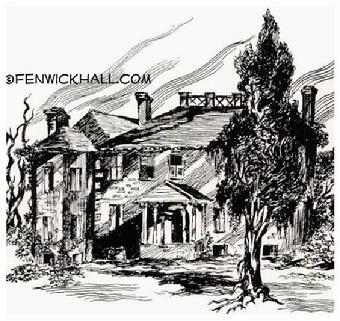 Fenwick Hall continues to go through a critical, long term restoration. It is currently privately owned and not open to the public, but definitely has a following. 1999 ,Fenwick Castle's Main Gate at River Road. Photo taken in May by Carol Dawn after Charter Hospital abandoned the Estate. 4.2010 Fenwicke Hall Grounds. Image by John R. Hauser. 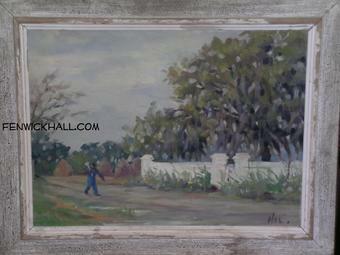 1970's Fenwick Hall Oak Allee' from River Road. Photographer John R. Hauser. 1970's Fenwick Castle just barely visible down the Oak Allee. Photographer John R. Hauser. Please do not copy any of the copyrighted photos on this website without asking first.